Come prepared to work inside (or outside if you don’t mind the rain). 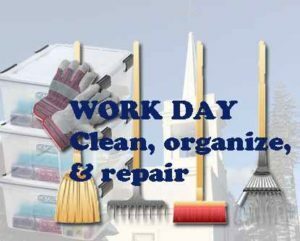 We’re organizing closets, cleaning windows and hard-to-reach areas, touching up spots inside and outside the church, changing light bulbs, and sprucing up the church grounds. Wear old clothes, sensible shoes, and bring work gloves. We’ll add more info about any tools or equipment you should bring from home, such as buckets or rakes or brooms. Sun, April 29 – 10:30am • Worship includes traditional Sunday School. 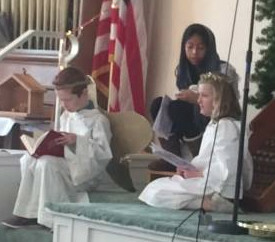 Parents may attend worship and children will have interactive lesson during portion of service. 6:30pm • Ministry Center of Lutheran Church of the Nativity, North Conway. Startup meeting for a group that would etch out one corner of the larger homelessness problem and focus on an emergency shelter that would operate periodically as the situation requires. If interested in attending as a liaison from JCC, please RSVP to Rev Gail. Free. Men and women join fitness trainer Laurie McAleer for a gentle, introductory fitness class for beginners. Wear comfortable clothing, sensible shoes, and bring a bottle of water. Also bring a ski pole and a small ball and hand weights. Customized to each person’s abilities. 12:30pm • Yankee Clipper Tea House, Bridgton, ME. Annual outing of women’s group to have high tea. Go early or stay later to shop or visit antique stores. Share rides. Allow an hour if traveling separately; please arrive promptly. Everyone welcome, including friends. Please RSVP to Linda Hastings to reserve a spot since we have a group reservation. 9am • Parish Hall, Jackson Community Church. Join instructor Anjali Rose for a gentle, introductory yoga class. Wear stretchy fitness clothing, bring a matt and a cushion/blanket if you have them. $10/class for 6 weeks. Scholarships available. This session runs through April 19. 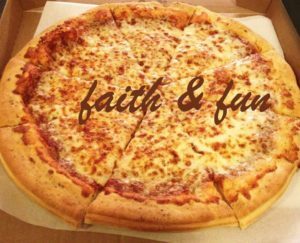 5:30-7:30pm • Spring Fling with Pizza & Games at JCC. This event is focused on children and families. RSVP to Rev Gail if able to attend. 9am-Noon. Come prepared to work inside or outside, depending on your preference. We’re organizing closets, cleaning windows and hard-to-reach areas, touching up spots inside and outside the church, changing lightbulbs, and sprucing up the church grounds. Wear old clothes, sensible shoes, and bring work gloves. If possible, bring sponges, rags, buckets, rakes or brooms. 8am • Gazebo. Bring your hot beverages. Dress warmly. Gather for readings and spiritual conversation. 9am • Jackson Community Church. Drop-in choir. Join us to practice and sing during the service. Sunday School will be available. Join us for a showing of the film “Cyrano de Bergerac” at the Jackson Community Church. Following the film there will be commentary and discussion led by Anthony DeLuca, who holds a PhD in history from Stanford. Meeting of deacons to plan worship and community support issues. 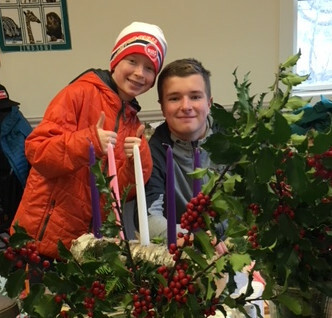 Spring youth and family schedule: Friday fun nights, service opportunities, Sunday morning activities and lessons, Sunday afternoon hikes, end-of-year Youth & Children Sunday plus summer camps for families and work camps/advocacy trips/retreats for high school youth. 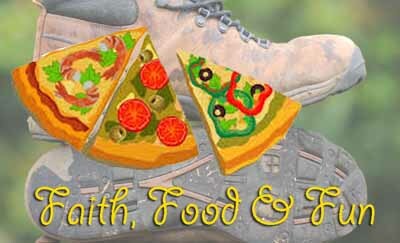 Sun, April 8 – 9am • Road to Emmaus activity & walk: Meet at church and wear outdoor clothing for a spring walk. Focus on people who met God on their walk and didn’t recognize their companion. How do we see and meet God in our world? Walk includes lessons on shared meals, communion, and breaking bread together. Also it’s Holy Humor Sunday … bring a joke to tell! 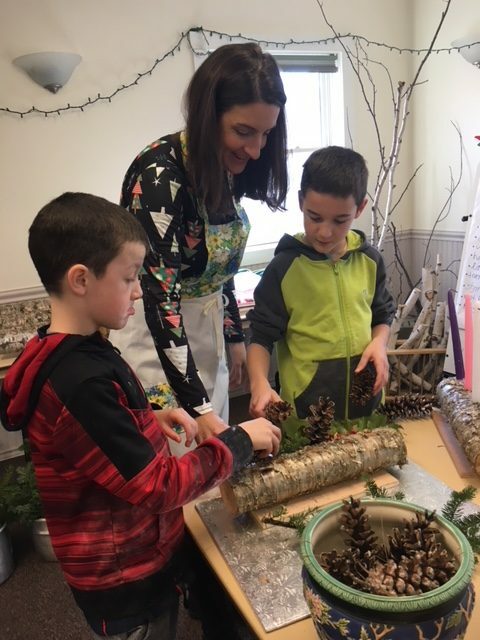 Sun, April 15 – 9am • Planting Activity with Lisa White at JCC. Preparation for Mother’s Day and anticipation of Earth Day. Meet at JCC for this activity. Sun, April 22 — 1pm • Afternoon Earth Day Hike – Intergenerational outdoor hike to be led by church youth. Bring proper equipment; route to be announced. Allow 2-3 hours for this activity. 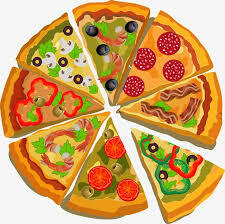 Spring Fling with Pizza & Games at JCC. Come prepared to work inside or outside. We’re organizing closets, cleaning windows and hard-to-reach areas, touching up spots inside and outside the church, changing light bulbs, and sprucing up the church grounds. Wear old clothes, sensible shoes, and bring work gloves. We’ll add more info about any tools or equipment you should bring from home, such as buckets or rakes or brooms. 5pm • Parish Hall of Jackson Community Church. Gather with members and friends for soup supper. 5:30/6pm • Meet at church parking lot for evening XC ski. Optimal starting point to be determined. 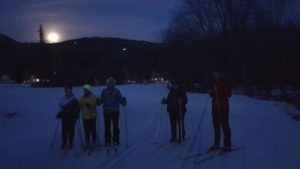 For those who able and interested, if weather permits, come on a ‘night ski’ on Jackson XC Center’s trails. 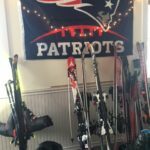 Donations will be collected for Jackson Ski Touring Foundation. Bring your own head lamps, ski equipment, layers, and be prepared for outdoor conditions. Ski at your own risk. Bring friends! Open to everyone. All ages welcome. 5-7pm • Gibson Senior Center, North Conway. 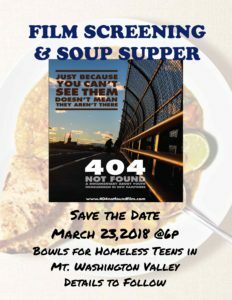 In collaboration with Clergy of the Eastern Slope and First Church of North Conway’s Missions Team, screening the film “404 Not Found” that highlights the homeless youth in NH. Check out the film trailer @ 404notfoundfilm.com. 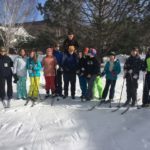 Held in collaboration with Governor Sununu’s “Sleep Out”. This is a valley issue and will take a valley solution. For youth & chaperones. Stay late at church. Or spend the night. To be held in solidarity with Gov Sununu’s “Sleep Out” event to raise awareness about homelessness. We will stay up late at Jackson Community Church with games and worship, learn about homelessness in the valley, make civic engagement posters. If some people stay overnight, we will wake up to have breakfast together. RSVP and permission slips required. 6pm. • Front door of sanctuary, Jackson Community Church. Help ring the bell 39 times in memory of Martin Luther King Jr. This is a national vigil; learn more at www.MLK50Forward.org. To learn more: download the brochure or visit the registration website. Jackson Community Church will cover the cost of registration and attendance. $20/day. RSVP to the church asap if you plan to attend, so that we can register you. Or let us know if you register separately, but plan to attend, so we can coordinate rides and reimbursement for attendance. Rev Gail will attend summit and provide rides. The Summit is open to all middle school, high school and college students; as well as teachers, mentors, pastors, lay leaders and advisors: and anyone interested in acquiring tools for facing the pressing moral issue of climate change. Note: Additional spring youth & family schedule to be announced. Expect outdoor youth & family activities every Sunday at 9am, beginning April 22. 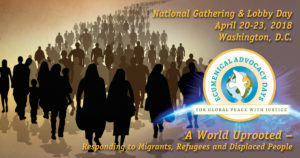 1pm, Fri – 5pm, Mon • DoubleTree by Hilton Hotel Washington, D.C.-Crystal City, 300 Army Navy Drive, Arlington, VA.
A WORLD UPROOTED: Responding to Migrants, Refugees and Displaced Peoples. A weekend of faith-rooted worship, learning and advocacy in our Nation’s capital – will focus on the uprootedness of our world. We will analyze current policy and envision ways to more fully and justly respond to the global and local needs of displaced communities. Together we will seek policy changes that advance hope and overcome the devastating impacts of conflict, climate change and corruption on God’s people. Ends with congressional advocacy day. REGISTER – Early-bird registration rates available through March 17th. Register now. 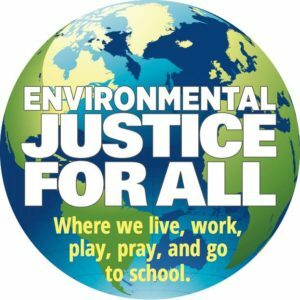 SCHOLARSHIPS – Justice and Witness Ministries has designated funding for UCC young adults (ages 18-35) to attend Ecumenical Advocacy Days (EAD) in 2018. Learn more and apply by March 23rd. Travel costs and hotel accommodations are separate expenses. Additional scholarships, such as Bushee-Thorne Scholarship, can be applied to this conference! 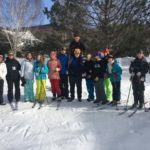 Spend weekend on retreat with Ipswich Middle School youth group. Stay overnight in sleeping bags at the church on Friday and return to Jackson on Saturday evening. RSVP to church by April 15, 2018 if interested. 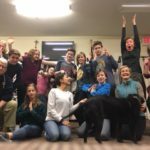 A tuition-free program of the Cooperative Metropolitan Ministries, the IFYI Fellowship is an all-expense paid interfaith immersion experience for young leaders (ages 15-19) providing an opportunity to meaningfully engage together with important global and local issues through the lens of their different religious, ethnic, cultural, economic, social and political backgrounds. This Internship Programme stretches over an 18-month period, for four young people aged 21-29. Each intern is assigned to work for 12 months at the WCC offices in Geneva, Switzerland, in one of our many programme areas. This is then to be followed by a six-month work placement in the intern’s own country. Flexi-Week. : Come for the day or for a period of days. Rev Gail & Chris Doktor will be deans of family camp. Our youth can come for one day or an overnight! Scholarships such as Bushee-Thorne (for which applications already being considered as of April) can be applied to this camp. Additional camp weeks are also available with focus on different skills such as archery, rock clibing, etc. Full schedule available here. Join us as we worship, play, pray, learn, serve, sing and dream at the 2018 Eastern Regional Youth Event. Stay up-to-date on event details through the event website or contact Ann Desrochers. Scholarships from Bushee-Thorne (applications already being considered as of April) can be applied to this experience. From Barbie to Wonder Woman! How An Orphan In Mexico Inspired Thousands – And How He Can Inspire You. How Can I Help My Community Prepare For And Respond To A Disaster? *Already printed and available* at front of church, which is always open. Or accessible as downloadable multi-page PDF with coloring pages, scriptures and activity guides. Due to licensing, the link will be sent by email to all church friends and members … if you want to participate, and didn’t receive this email already, sign up on this site to receive our email and we will forward the links to download the PDF files. Or email us directly for the link. List from Rev Nadia Bolz-Weber’s blog. 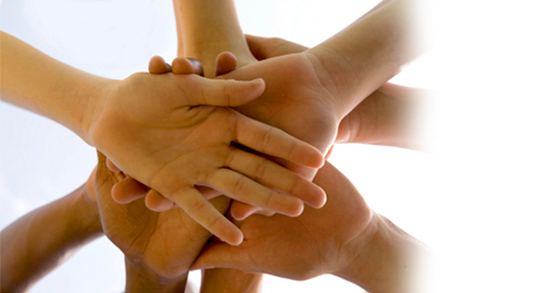 Sign up to receive daily messages/prompts on environmental acts of kindness for Lent. Sign up to access and participate. 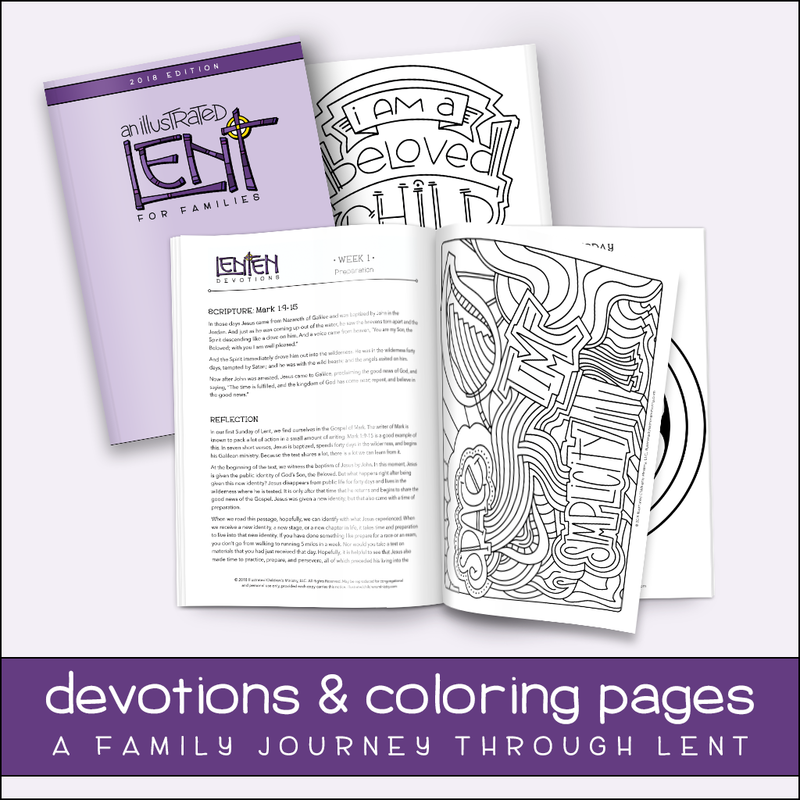 Coloring the Psalms Devotional Guide and Coloring Pages. *Already printed and available* at front of church, which is always open. Or accessible as downloadable multi-page PDF files from Jackson Community Church’s website. Due to licensing, the link will be sent by email to all church friends and members … if you want to participate, and didn’t receive this email already, sign up on this site to receive our email and we will forward the links to download the PDF files. Or email us directly for the link. UCC (United Church of Christ)’s Still Speaking Daily Devotional messages. Sign up to receive these. 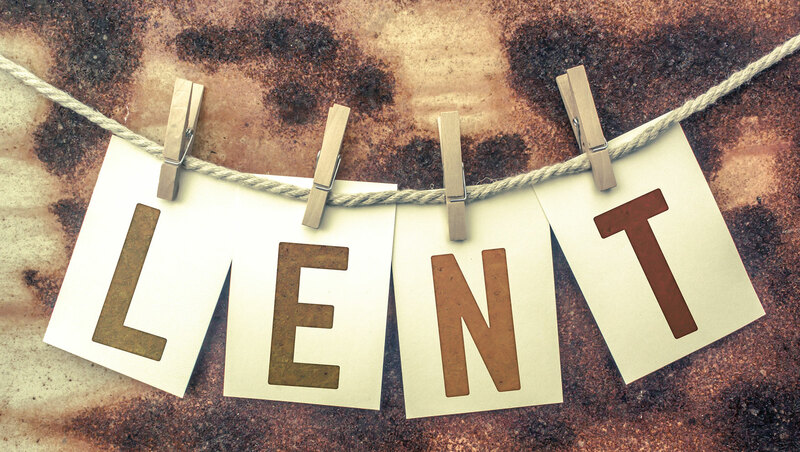 Living Lent Daily: Ignatian Spirituality daily meditations for Lent . Sign up to receive daily email meditations and devotional activities. Social Justice Lectionary: Downloadable guide to readings and activities surrounding social justice issues. Extension of MLK Day initiatives. 5-6:30pm • Parish Hall. Part of a community conversation series offered by Jackson Community Church. Join us for refreshments and a community conversation on Buddhism & Christianity perspectives, based on the Book of Joy by the Dalai Lama and Archbishop Desmond Tutu. Next month: March 13 – Second Tuesday conversation on Adversity, Resilience & Joy inspired from selections from Option B by Sheryl Sandberg and Adam Grant. 7-9am • JTown Deli. Rev Gail will offer ashes for anyone who drops by pastor’s hours at the JTown Deli. *ASHES @ JCC. 4-4:30pm • Sanctuary, Jackson Community Church. Come to receive ashes and a blessing. Worship service led by Clergy of the Eastern Slopes. 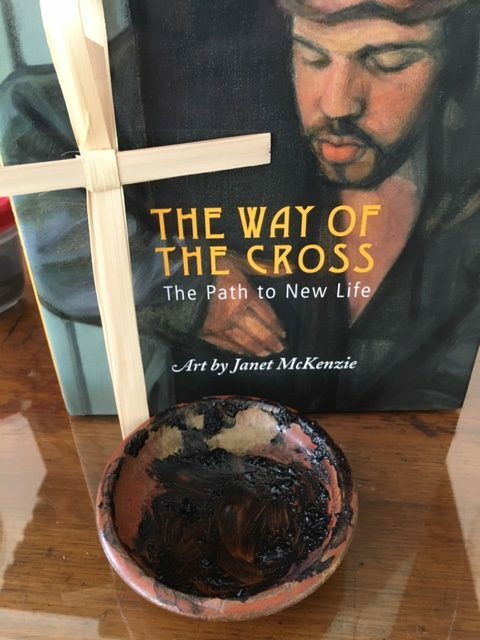 Come to receive ashes and to begin the Lenten season. 11am-Noon • Parish Hall. Anjali Rose, trained in yoga and reiki and other contemplative arts, will facilitate a women’s circle that focuses on embodied wisdom. Drawing on different wisdom traditions, practicing contemplative arts, sharing & building community. Meets again Feb 22. Rev Gail will also help facilitate this group. This group will meet twice a month. Drop-in fee will be charged for this group to cover Anjali Rose’s presence as facilitator. 3:30pm • Yoga with Charlotte Doucette • Parish Hall. $10/pp fee. (Scholarships available). Followed by brief meditation. 9am • Jackson XC Ski Center. 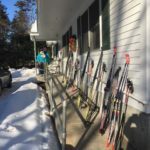 On-site blessings for skiers. 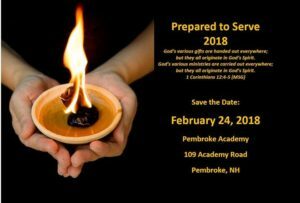 Ipswich, MA Middle School youth group will hold a weekend retreat at the church. Our youth and families are welcome to come for a community meal and games on Friday. 2-5 • Black Mountain. Ipswich Middle Our youth are welcome to get outside with the Ipswich youth. who will be downhill skiing in the afternoon. Ipswich Middle School youth group makes dinner and holds worship. Our youth and families are welcome to come for meal, games, and worship on Saturday evening. Bring a potluck breakfast/brunch/lunch item to share. We will start in the sanctuary, but spend most of our time in Parish Hall around tables for a community-style meal that also serves as our communion. Conversations at table focused on scriptures about athleticism, competition, victory and defeat, strength and resilience. Fun and family-friendly! 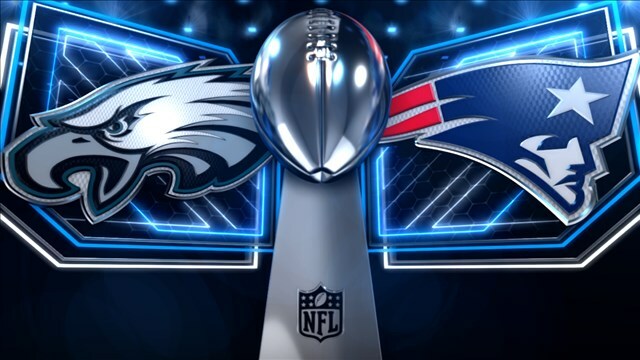 Great way to kick off Superbowl Sunday! Exploring expressive arts as a spiritual practice through contemplative coloring, drawing from different wisdom traditions. Church provides patterns and colored pencils. Older children, youth and families welcome. 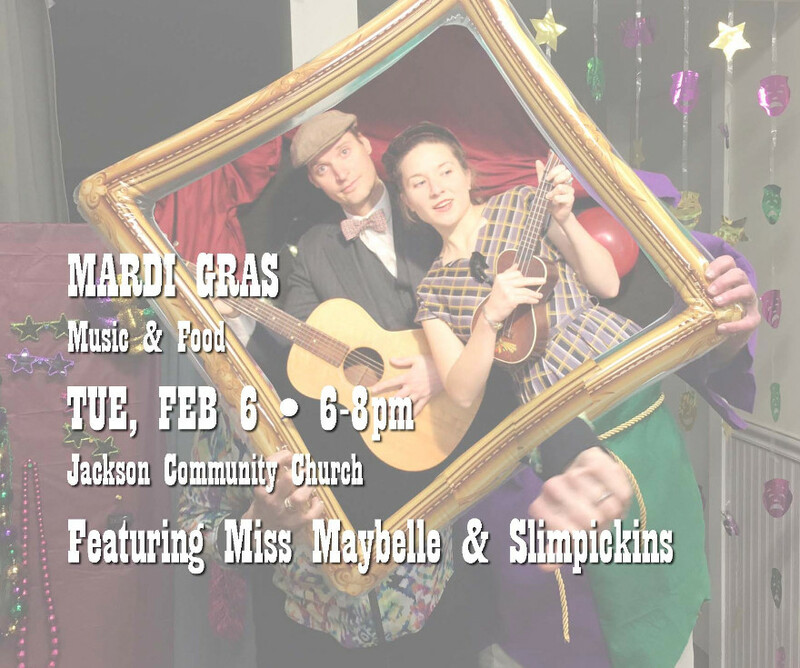 Food and music by KHS jazz ensemble and Miss Maybelle & Slimpickins. 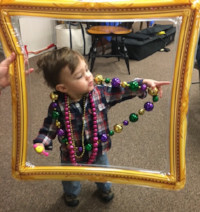 Take a selfie with our beads and costumes, or come decked out and ready to dance (and socialize). Family-friendly. Donations gratefully accepted. Registration is open and we are asking all our supporters to please pass the word. You can sign up at Eventbrite. We also have a Facebook page where we will try to post updates. Questions? Reach out to Lauren Orsini at laurenvorsini@gmail.com or at jess.dellavalla@gmail.com. To benefit the American Cancer Society. 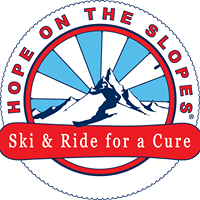 It’s time of year to start thinking about Hope On The Slopes – The American Cancer Society’s Race to Beat Cancer! You can get involved in many ways. Our church sponsors this team, including sponsorships for our athletes and providing volunteers. You can serve as a volunteer for the event. 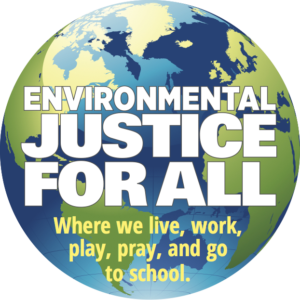 Workshops on environmental and social justice issues, as well as program development for youth and families. Rev Gail will be traveling to this conference and can provide same-day ride for 1-2 people. Jackson Community Church will cover cost of registration. Event brochure for complete list of classes and workshops. 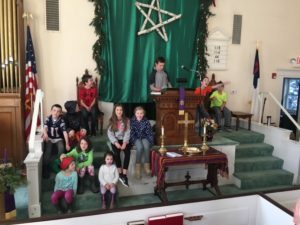 Plus: Take home a “25 Days of Kindness” Advent Calendars: At the church we’re using a different sort of countdown for you … empty bags plus an Advent Calendar with suggested acts of kindness, as well as a wish-list from local nonprofit organizations. Each day, you can choose to perform an act of kindness or to collect and drop an item from the wish lists into the bag. Above is the list which Sunday’s group of students brainstormed as possible acts of kindness to offer this month, as we count down to Christmas! 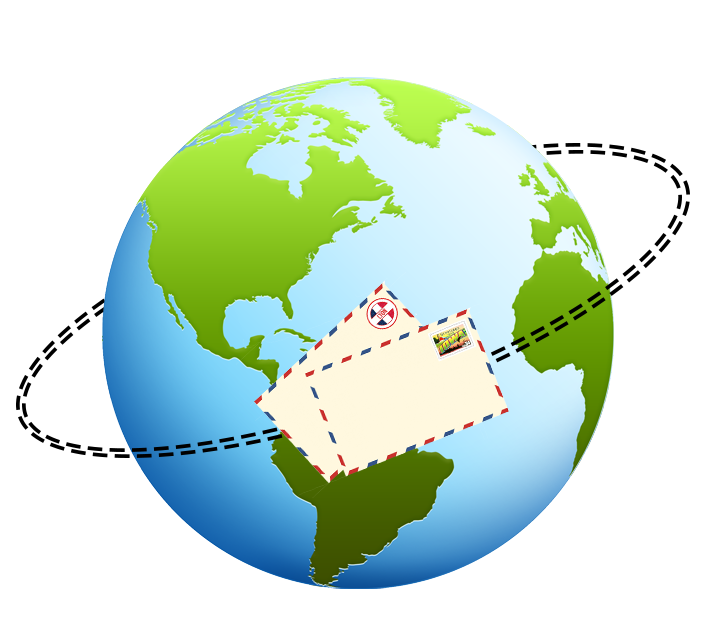 We have several children and young people from Chikanga Church in Mutare, Zimbabwe who are looking for pen pals. Would you be interested as a family or individual in wriiting to a friend in Zimbabwe? We can match you with someone … let us know! NH Youth, mark your calendars for next summer! Join us as we worship, play, pray, learn, serve, sing and dream at the 2018 Eastern Regional Youth Event.